You know I always use the word “Southern” in my post titles, but not today. Just didn’t seem right. Today is Independence Day in the United States. God Bless the USA! It is also Sunday so we will join Chari at Happy to Design for Sunday favorites and Charlotte and Ginger at Blogger Spirit for Spiritual Sunday. Enjoy your Sunday and Happy Independence Day! As I sat down to do this post, I noticed that my Saturday post was not correct 🙁 I posted a draft instead of the completed post that did not include Beverly’s link – So sorry! I have corrected the Saturday post and am also adding her link here as well. 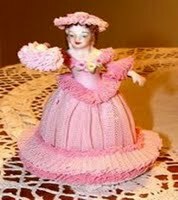 Beverly, please forgive me – I wouldn’t want anyone to miss your wonderful Pink Saturday party!! Okay, so now on to the post – a Sunday Favorite that does double duty as an entry for Spiritual Sunday. Last year I posted the Declaration of Independence. I am doing the same this year. If you have never read it, please read it now! Also, I am re-posting the YouTube video we made from the grand finale of our local fireworks show. Set to the National Anthem, it is a great show! Enjoy! 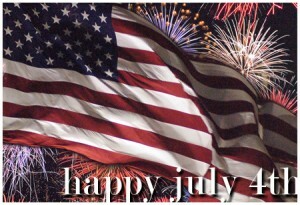 Wishing all of you a happy and safe 4th of July. Please take a moment to read the Declaration of Independence. The courage of our founding fathers is evident in those words. They risked death to declare our independence. When Benjamin Franklin was asked, “Well, Doctor, what have we got – a Republic or a Monarchy?” He replied, “A Republic, if you can keep it.”* It’s up to us to keep it! * ATTRIBUTION: The response is attributed to BENJAMIN FRANKLIN—at the close of the Constitutional Convention of 1787, when queried as he left Independence Hall on the final day of deliberation—in the notes of Dr. James McHenry, one of Maryland’s delegates to the Convention. Mama tells me that to get it really crispy you need to fry it in shortening or lard. The fat should be deep enough to cover the pieces when it boils up, but make sure you use a deep skillet, preferably one made for frying chicken, and watch carefully. Thank you for sharing the words to this important document. These were such brave men who signed it. It could never have happened without God’s help. I agree with Windbey Woman, this had so much information. Information I tend to forget sadly to say. Thank-you for sharing this post today. This is a very full post. I love southern fried chicken but I have rarely cooked it myself. Thanks for sharing the goodies. Wow! THis post is packed full of good stuff. Happy 4th of July! Happy Independence Day, my friend! Well…I just left you a long comment and it didn’t publish…so I will try once again! 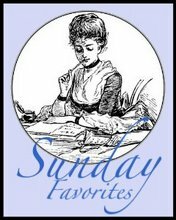 Thank you so much for joining in with Sunday Favorites again this week…what a GRAND post to share with us! You know, about 3 yrs. ago, my student and I studied the Declaration of Independence…line by line…it was such a moving experience for me! I believe that it was divinely inspired and written! I am so thankful to our forefathers and to all of those courageous men and women who have served and sacraficed to make our great country what it is today!!! Even more so…I am thankful to God for watching over us and our great country!!! We are such a blessed people!!! Great post, Christi…thank you for sharing it with us for Sunday Favorites!! !